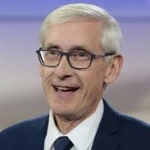 Governor Tony Evers says a request to borrow 70-million dollars to deal with groundwater contamination will be included in his two-year budget plan. Evers has promised to make clean water a priority. Three-million would fund grants for Wisconsin farmers to build infrastructure to reduce water pollution. There would also be grants for local governments trying to cut back on stormwater runoff. At least some of the money would be used to replace lead pipes.